Dished mixing wells, twin lids opening to provide 4 large mixing wells, thumbhole. 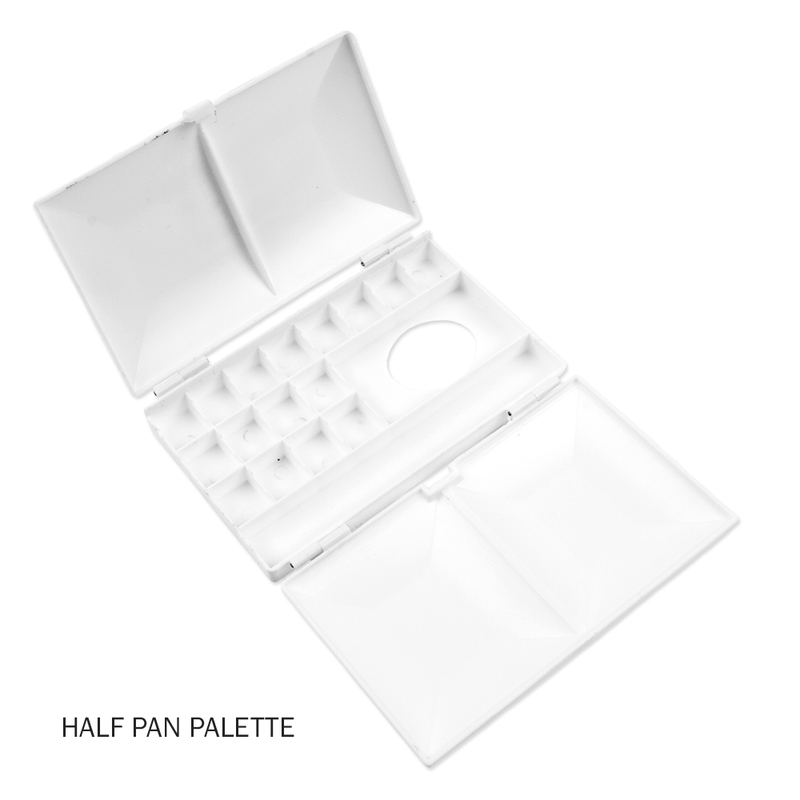 There are 2 types: the whole pan box has space for 12 whole pans, and the half pan box has space for 16 half pans. You can also just add tube colour into the compartments. 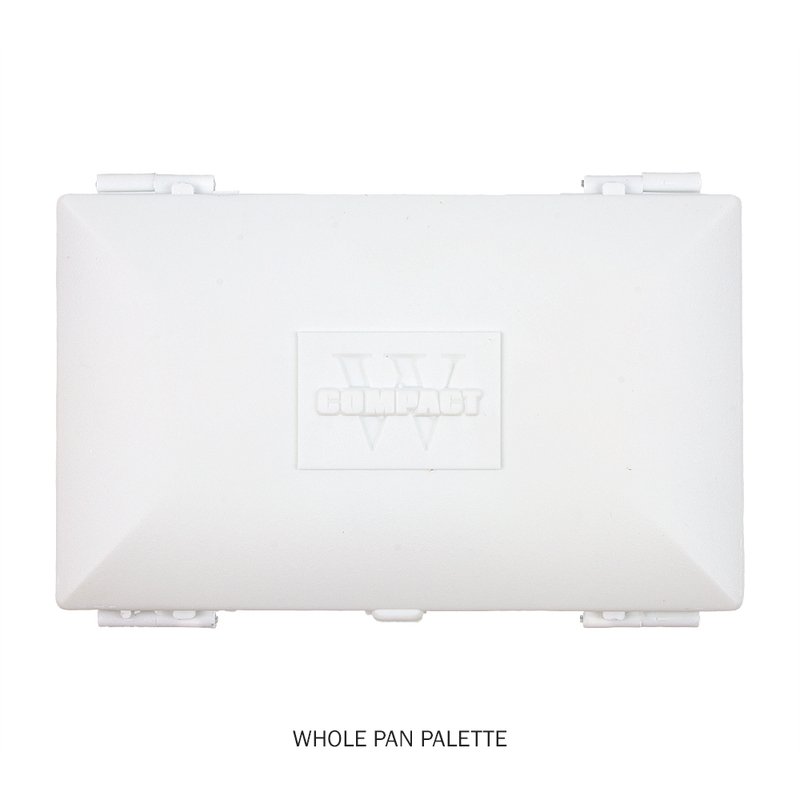 Made from strong white plastic. 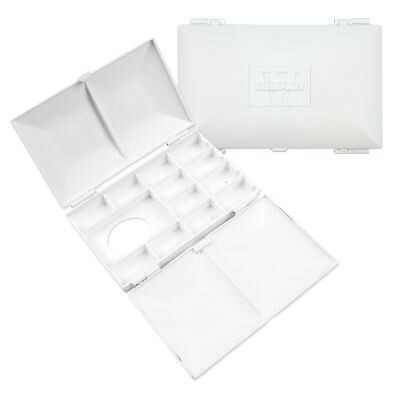 If you have any problems opening your compact palette, please see our demonstration video beneath the picture to the left. Deffinately the best art purchase I have ever made. 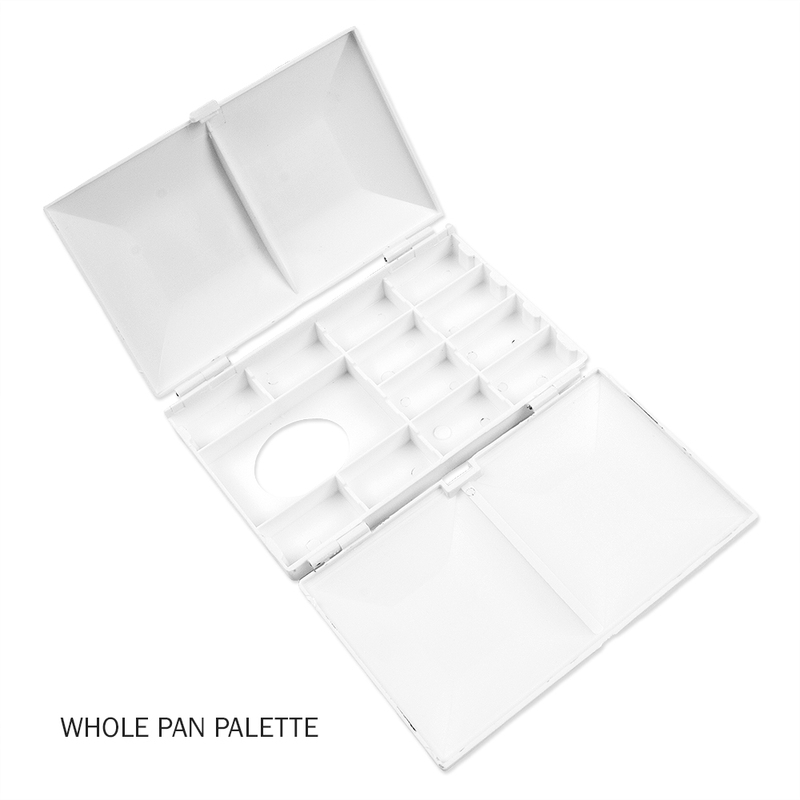 Affordable, lightweight, great sized mixing areas, robust for travel and plein air...Perfect!